These light rolls are a refreshing change from the usual fried variety – you can switch out the shrimp for thin slices chicken breast or steak. Put everything out in bowls and allow your guest to create their own. 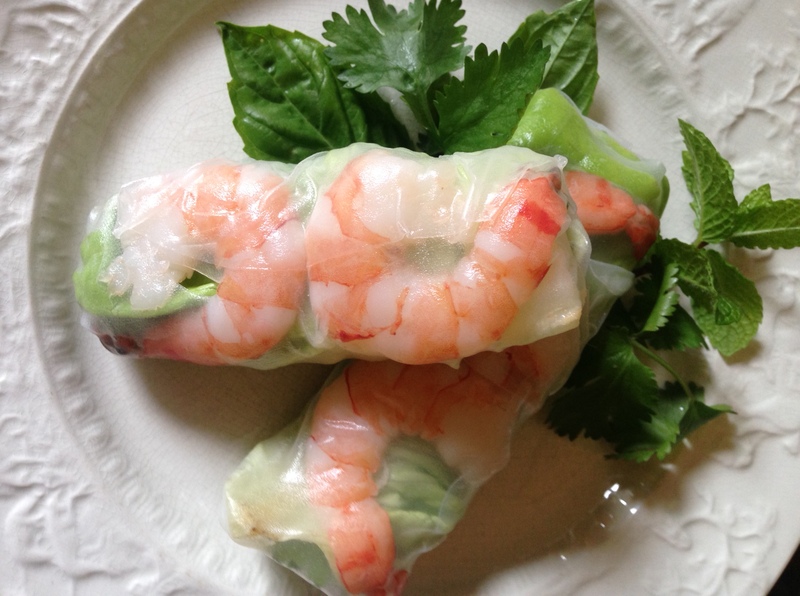 This entry was posted in Recipes and tagged Basil, Cilantro, Make ahead, mint, Peanut Butter, Rice Noodles, Shrimp. Bookmark the permalink.